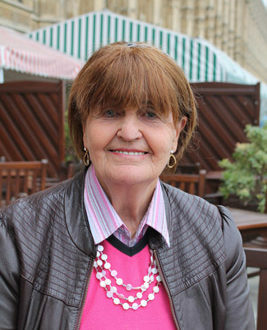 Yesterday, Baroness Cox raised the situation in Nigeria in the House of Lords, asking Her Majesty’s Government for their assessment of ongoing civilian attacks by Boko Haram and the Fulani Herdsmen. To ask Her Majesty’s Government what is their assessment of recent developments in Nigeria, with particular reference to attacks on civilians by Boko Haram and the Fulani. My Lords, we welcome the news that some of the Dapchi girls have been released and offer condolences to the families of those reported to have died. We call for an immediate release of all those abducted. Such attacks are abhorrent and must stop. We are also deeply concerned about ongoing clashes involving pastoralists and farmers, and have raised the issue with the Nigerian authorities. We urge the Nigerian Government to bring the perpetrators to justice and implement longer-term solutions. My Lords, I thank the Minister for his reply. Is he aware that, last time I was in Nigeria, I visited four Christian villages in Plateau state that had been attacked by the Fulani herdsmen, stood in the house where they had murdered the pastor, visited the homes which had been destroyed and saw Fulani cattle grazing everywhere? This situation has been multiplied many times, with the murder in recent months of hundreds of Christians and the destruction of their villages by increasingly well-armed and aggressive Fulani. Will Her Majesty’s Government therefore make rather stronger representations to the Government of Nigeria to fulfil their obligations to ensure the protection of all their citizens, especially given recent developments of Christians being deliberately targeted? Let me assure the noble Baroness and all noble Lords that wherever in the world we find minorities being targeted, we raise that as part of our prioritisation of the freedom of religion and belief. I assure her further that we have raised the issues of the current and recurrent clashes between the herdsmen and the local farmers. We welcome President Buhari’s commitment to assist the affected communities. I agree with the noble Baroness that this has had a devastating impact on lives and communities, as well as on the general safety and security of all citizens. We are engaging with the federal and state Governments to encourage them to work with all parties, so that we can develop safe solutions for all communities in that part of Nigeria. My Lords, clearly a key issue is that these herdsmen have been affected by changes in the law. Surely there must be a way forward that understands their needs, as well as ensuring that communities are not affected by the violence outlined by the noble Baroness. What are the Government doing to work out a way forward by supporting civil society initiatives that will enable the herdsmen to carry on living the life that they so desire to live? Of course the role of civil society is important, but if we look at the conflict in Nigeria, we estimate that more than 20,000 people have been killed and more than 70 million affected. The current crisis is not just one of religion; in some parts, the herdsmen are Christians while the farmers are Muslims. It is the likes of Boko Haram, particularly in the northern part of the country, which have driven the herdsmen into territories that they were not previously occupying. So it is more complex than it is sometimes painted, which is as a particular issue between two faiths. It is not; it goes far deeper, and Boko Haram is driving these herdsmen south. “Illiterate, hapless and hopeless boys drawn from communities by Boko Haram leader Abubakar Shekau perpetrate violence. While others benefit, thousands have been arrested in Maiduguri and disappeared”. What are the outcomes of DfID’s £92 million security and justice budget in 2017 for the region, and what impact has been made specifically in conflict prevention? As the noble Lord will be aware, because of the challenges within Nigeria, much of the support that DfID presents has been spent on important issues such as sanitation, food provision and providing safety and security to children going to school. The noble Lord mentioned Boko Haram putting down their arms. Let us be clear: the ideology that drives the likes of Boko Haram is a perverse ideology. It is not there to make peace but to break the peace. Indeed, the Islamic State of West Africa group, which has different tactics, is also inspired by the same ideology. The important thing is that we have seen the Nigerian Government take some punitive steps against them and, where they can, bring the criminals to justice. My Lords, is it not the position that our fellow Commonwealth country, Nigeria, which is one of the world’s largest nations, is confronting enemies of pure, undiluted evil? Is it not possible to think beyond representations to ways in which, through training and technical assistance or direct military assistance either under the aegis of the Commonwealth or directly, we can begin to tackle what is really a very straightforward situation of undiluted evil that must be overcome and resisted? Certainly the Commonwealth is a force for good in looking at tackling some of these issues. As my noble friend will be aware, the United Kingdom and Australia funded the Countering Violent Extremism unit within the Commonwealth. We are working on areas such as building training and support for the Nigerian authorities and will continue to build their capacity to deal with such issues. When the Minister next meets his Nigeria counterparts, will he address two of the causes of the growth of the Fulani militias and Boko Haram and ask him why, in defiance of the Nigerian constitution and Article 18 obligations, sharia law has been imposed in 12 states, providing impunity during the displacement of hundreds of thousands of people, abductions, land seizures, murders and violence such as the shooting in the mouth of a female choir singer, and how the Nigerian Government will address the fertile breeding ground for recruiting sergeants such as the kleptomania of corrupt leaders that has led the Nigerian Economic and Financial Crimes Commission to state that some $360 billion has been stolen, while in the impoverished north where these groups have been growing some 70% of children never go to school? The noble Lord is right to raise this. Corruption is part of the reason that we see various challenges. It is very prevalent in certain parts of the country, which drives other causes and results in groups such as Boko Haram and the Islamic State of West Africa coming to the fore. Those vacuums exist and need to be filled. On the issue of sharia law being imposed on communities that do not adhere to sharia, it is against all principles, it is against the Nigerian constitution and—I will also add—against Islam itself. They need to wake up and smell the coffee, because they are perpetrating heinous crimes against humanity and are nothing to do with any constitution or religion.